(Manila, Philippines) The visual FX and animation industry has taken off in the last decade, and has long featured Filipino talents among its roster of designers and directors. 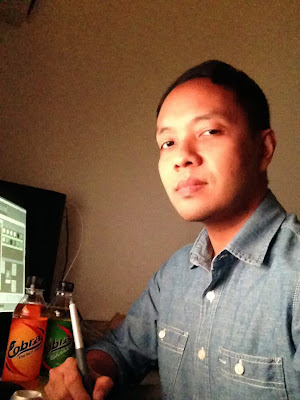 One of the most respected names in the industry is Filipino digital artist and creative director Jeff De Guzman, who has long inspired numerous kids and kids-at-heart by bringing to life much-loved characters in Hollywood blockbusters like Pacific Rim, Iron Man, Transformers, Mission Impossible 4, Star Trek, and Battleship. Born and raised in the Philippines, Jeff defied the odds by making it to the big leagues of animation both in the US and in the UK. A self-taught artist, he started his career by joining contests before getting noticed by Industrial Light and Magic (ILM), a Lucas Film company. Today, he is a sought-after digital artist, best known for producing computer-generated graphic images for live-action films. Despite his international success, he wishes to work on more projects in the Philippines in order to push the limits of local animation. Jeff was given this opportunity, and the chance to share the stories of Pinoy pride through the latest TV Commercial (TVC) of Cobra Energy Drink led by world champion, Nonito Donaire Jr. Also featured are the Cobra Philippine Dragon Boat Team, BMX rider Danny Calaug, and Philippine Elite Triathlete Arland Macasieb. He shared his expertise by spearheading the graphic development from the creation of digital environments down to the robots used. Just like in the Hollywood movies, the Cobra endorsers interacted with life-like robots in scenes showcasing their own individual interpretation of what it means to be the Lakas ng Pinas.